Pampa's Puna rugs. Photo courtesy of Pampa. For many of us, the winter season means staying in (who wants to go out in three feet of snow?) and hosting friends and family (it's okay if they go outside). The holidays add incentive to entertain, and guests add incentive to spruce up the house. 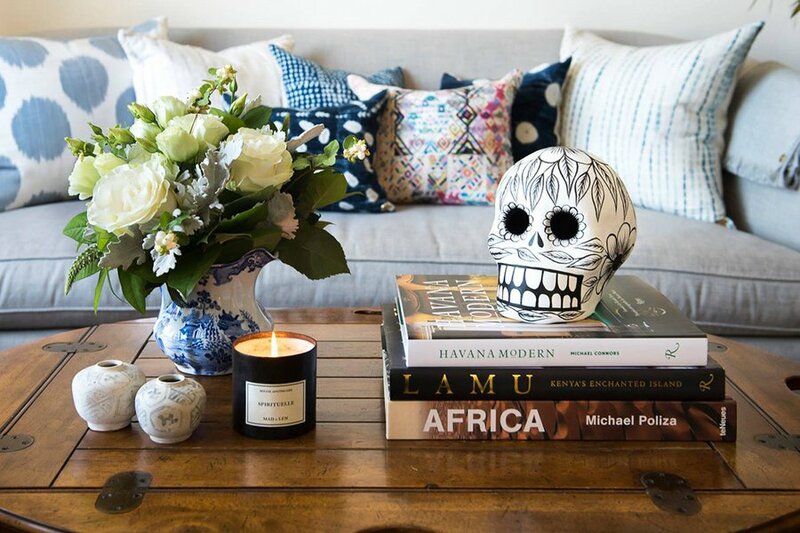 Yes, that means festive decor, but it's also an excuse to upgrade basics like blankets, pillows, and art. 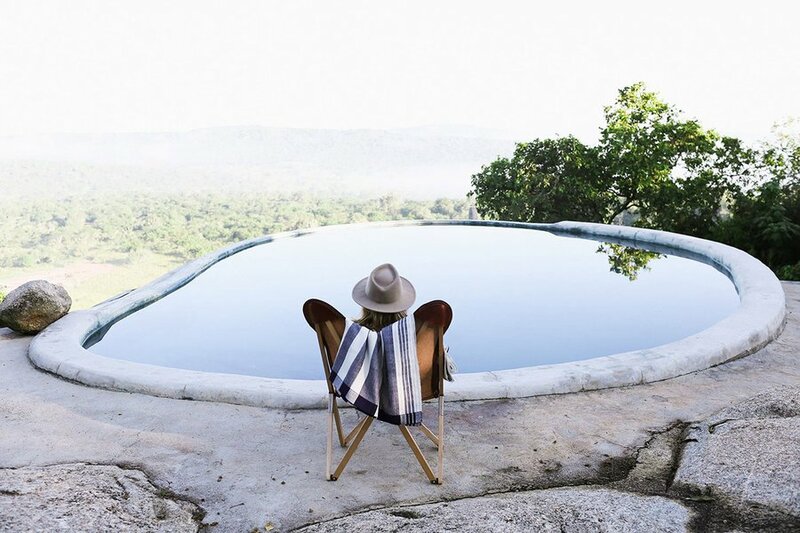 We've had our eye on companies who make it easy for globally minded travelers (ahem) to score ethically sourced goods made by artisans from as far as Burkina Faso, Tibet, and Uzbekistan. 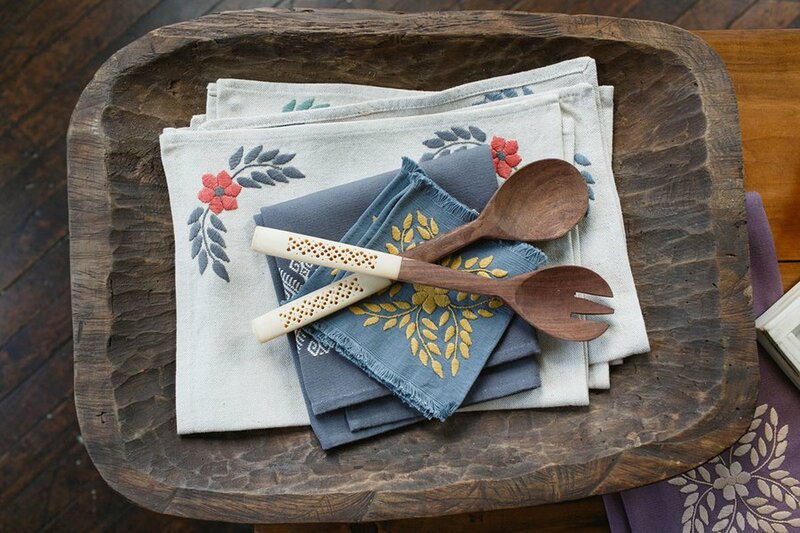 Here are four of our favorites and a selection of their beautifully designed and handmade home goods. And llamas. We always want to share llamas with you. 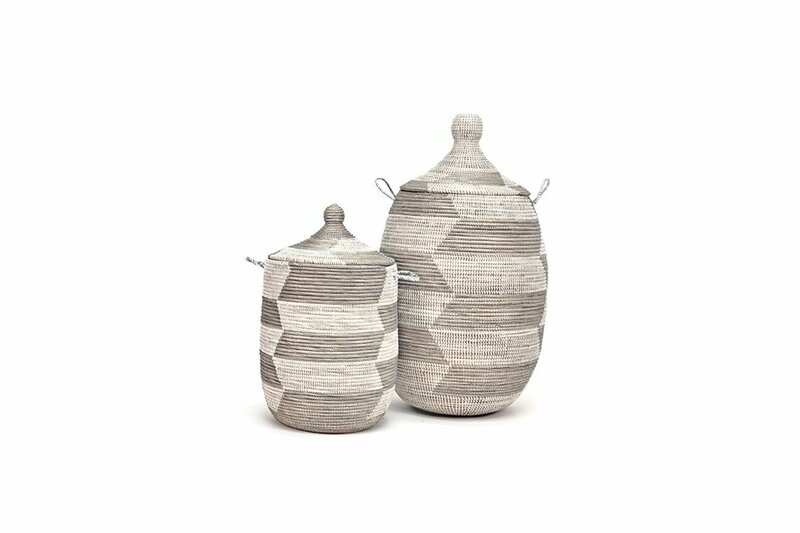 With a belief that homes should reflect the stories and craftsmanship found around the world, The Citizenry founders Carly Nance and Rachel Bentley partner with local artisans to create a series of limited-edition home collections. 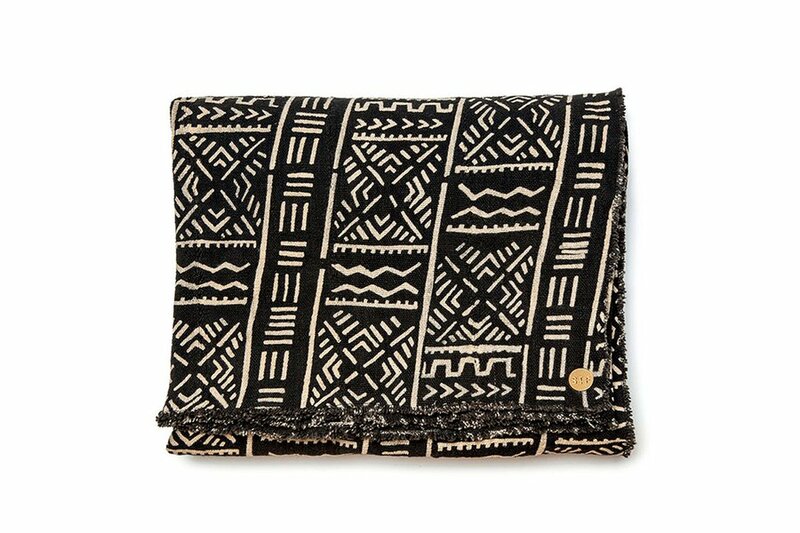 Ten percent of proceeds are given directly back to artisan communities to help support fair wages, safe working environments, and entrepreneurship. The next slides are highlights from their collection. Provenance: Argentina, Mexico, Peru, and Uganda. 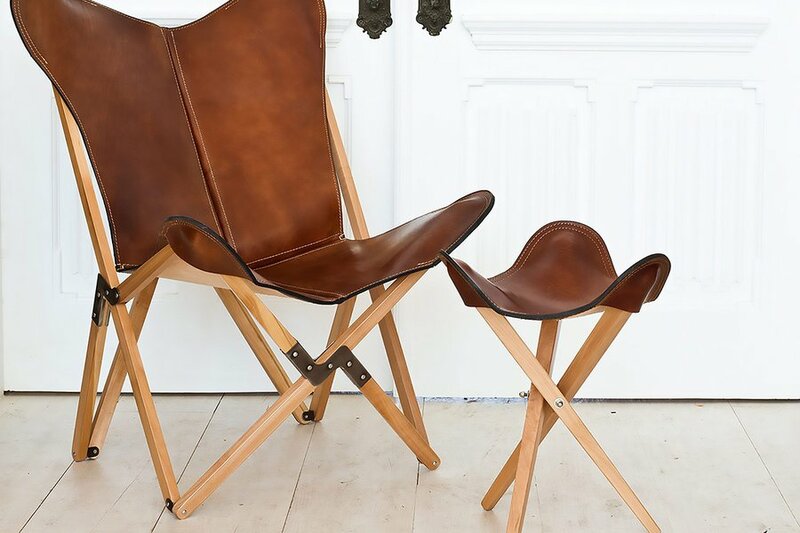 An heirloom-quality, folding chair made of Argentine leather and lightweight guindo wood. 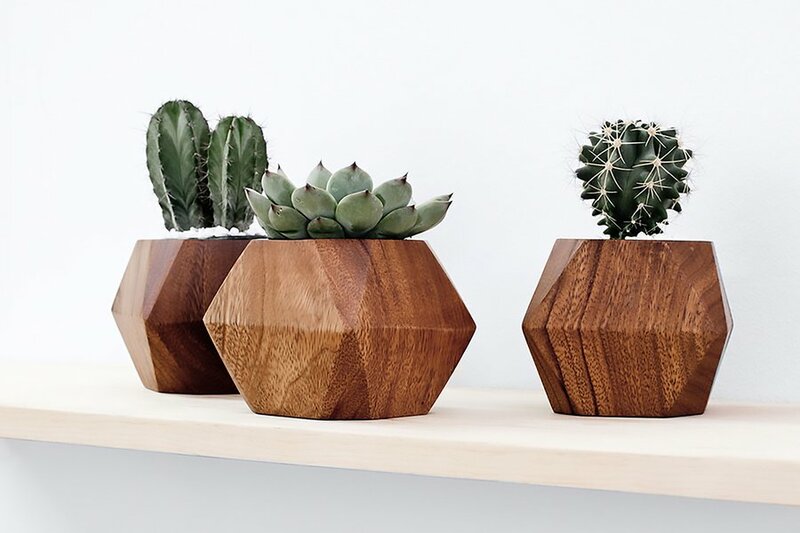 Geometric planters carved from a single block of Mugavu wood. 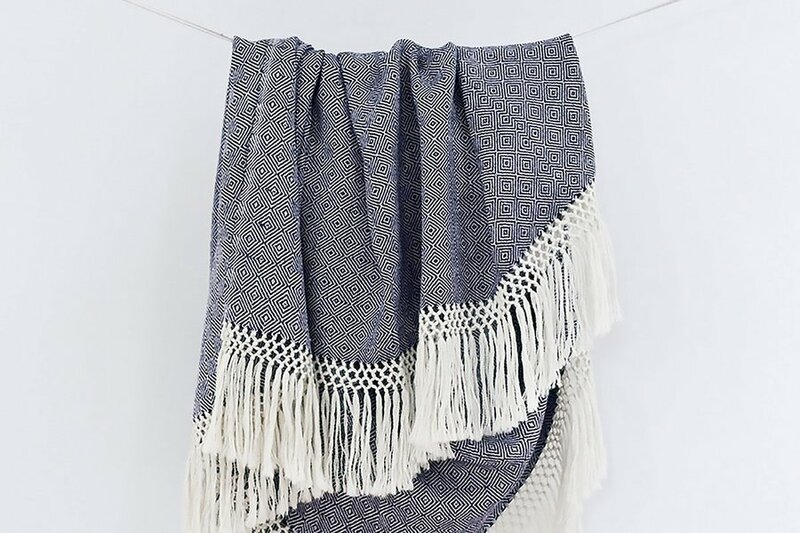 An incredibly soft hand-loomed blanket made from 100 percent baby alpaca wool. 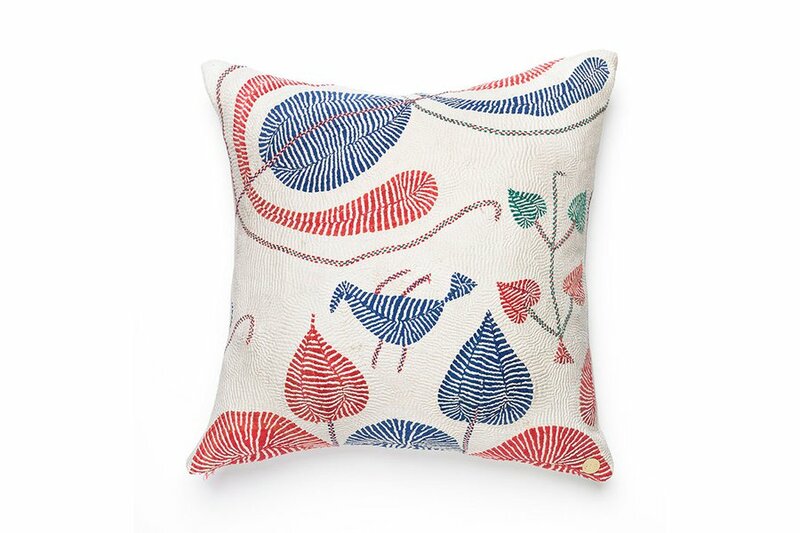 Inspired by an Indian textile bought abroad, Cristina Bryant set out to create a home goods company that reflected her values of global citizenship. St. Frank sources unique textiles created by artisans around the world and turns them into pillows, framed art, blankets, and other home goods. Provenance: Burkina Faso, Cameroon, Guatemala, India, Mali, Mexico, Morocco, Nigeria, Peru, Senegal, Tibet, Turkey, Uzbekistan, and West Africa. 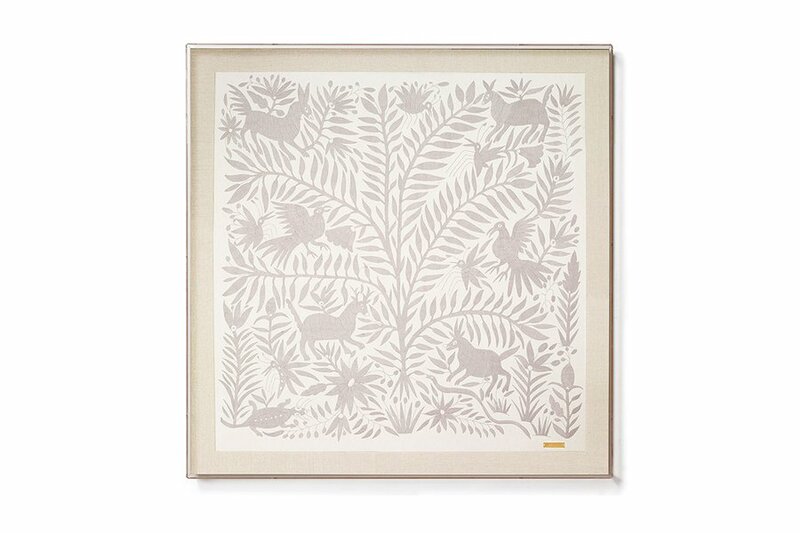 An embroidered textile created by Mexico's indigenous Otomi people and framed in Lucite. A traditional West African textile made of Burkinabe cotton and naturally dyed with mud sourced from the Niger River. 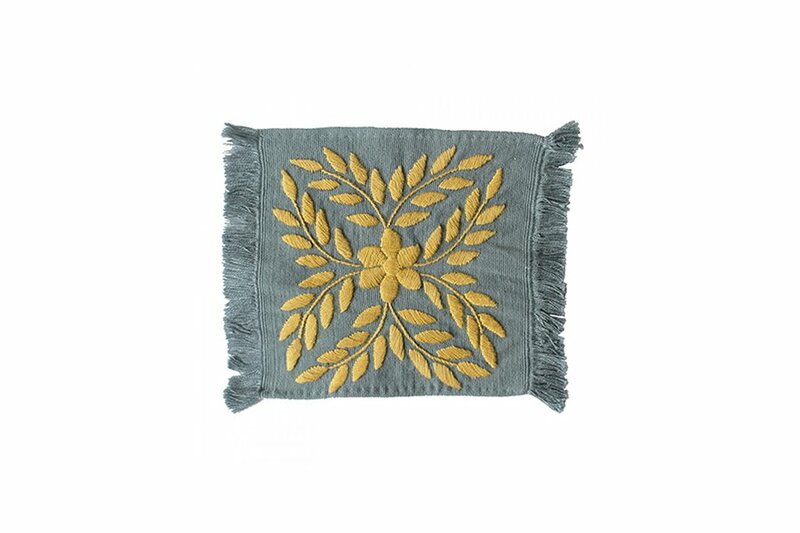 Named for the unique running stitch used to create the floral and animal motif, the classic textile used to make this pillow was originally created by women in rural Bengal. 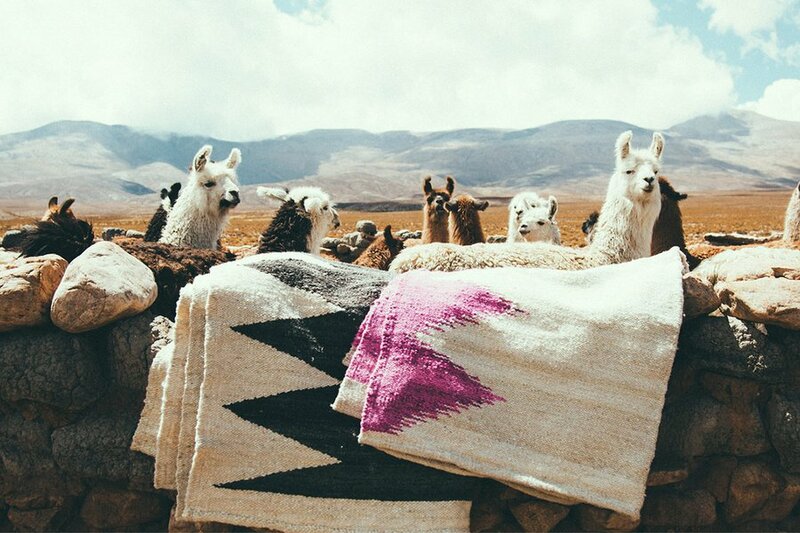 Pampa founders and photographers Victoria Aguirre and Carl Wilson connect their two countries by bringing artisan goods from Argentina's most remote indigenous communities to Australia. They source hand-woven rugs and cushions and document the process to create a collection of striking fine art prints. 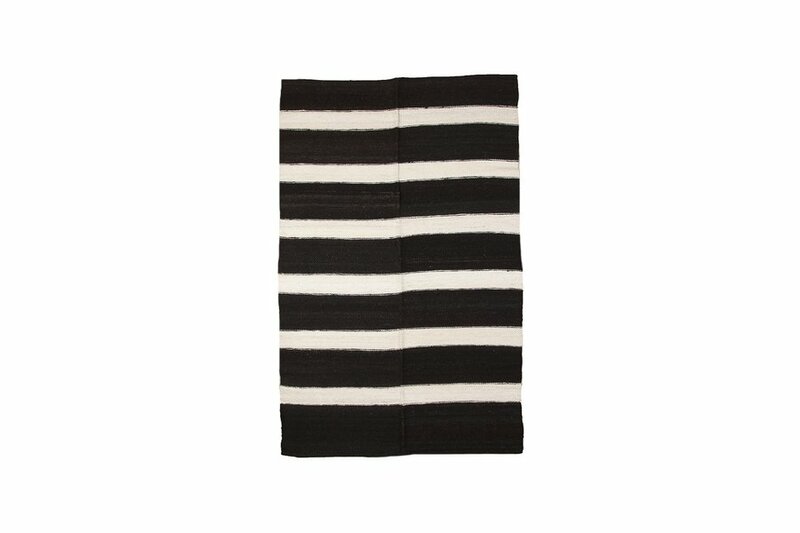 A gorgeous, one-of-a-kind, hand-woven flat weave rug made of sheep's wool. 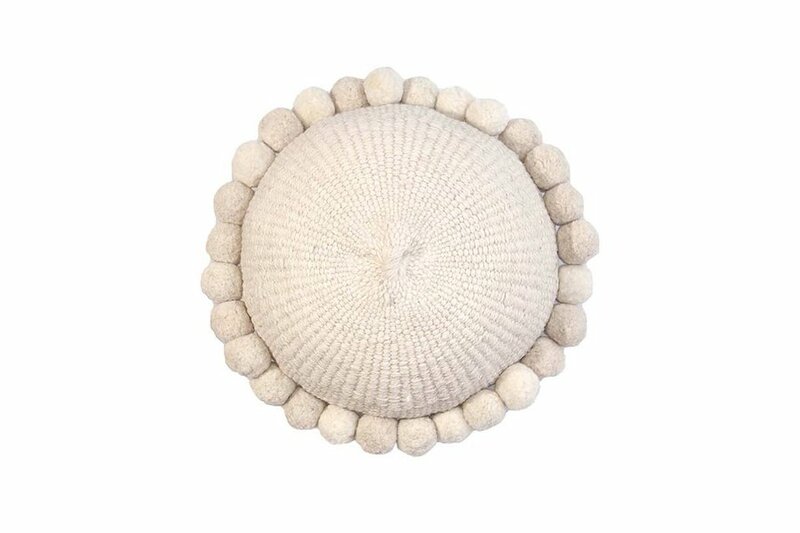 A round, hand-woven cushion made from sheep's wool. 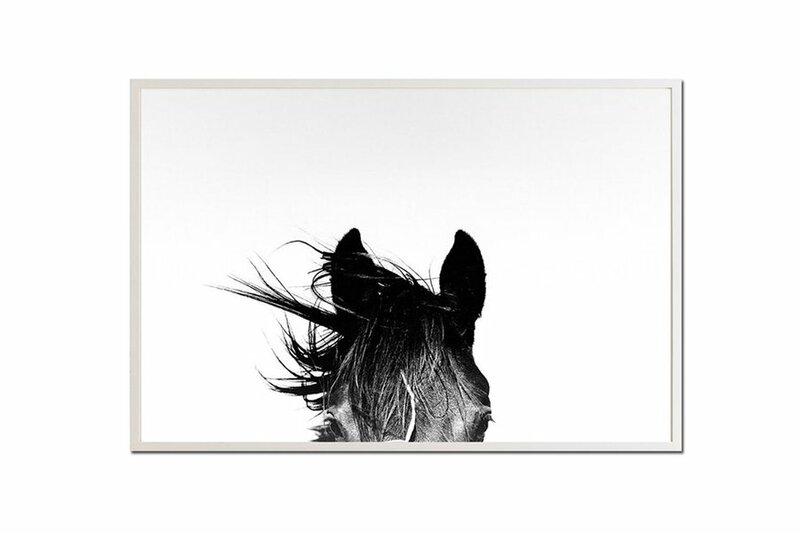 A fine art photograph from Pampa co-founder and photographer Victoria Aguirre. After moving from New York City to Mexico City, textile designer Allison Jones lauched Alegria Home, a modern collection influenced by traditional Mexican and Guatemalan artisanal techniques. Each piece is handmade using sustainable means of production and is unique to Alegria Home. Provenance: Guatemala, Mexico, Senegal, and Tunisia. Beautifully hand-woven and embroidered cocktail napkins. Coil-style weaving baskets hand-woven with cattail stalks and plastic. 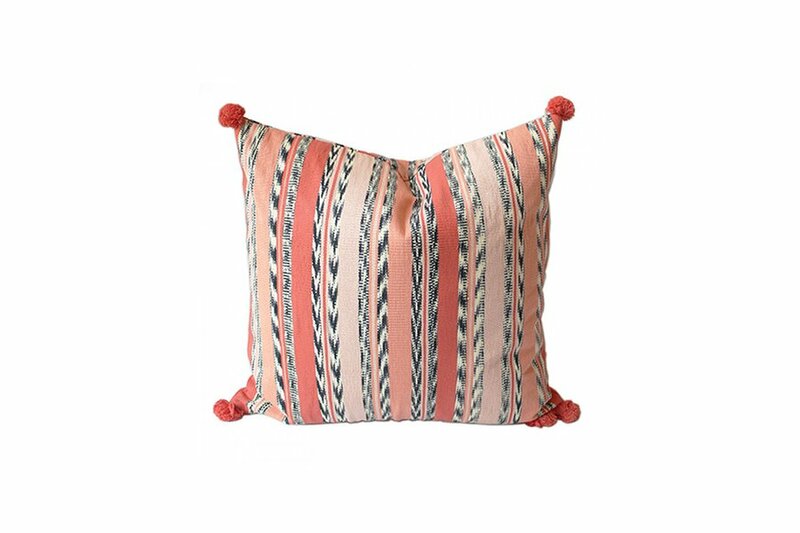 Coral pom-poms are affixed the corners of this hand-woven ikat striped pillow.